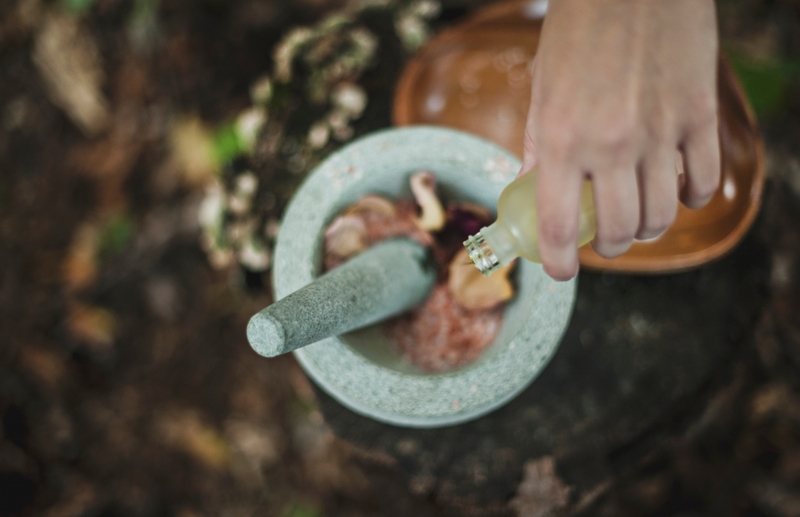 Just when it seems that the essential oil revolution in all areas of our lives has reached its peak, science continues to discover that these concentrated essences of plants have yet another use. We already use them in diffusers inside our homes for their pleasing scents and ability to have therapeutic value, and essential oils have been utilized in effective home cleaning to eliminate bacteria and germs without exposure to potentially harmful chemicals. It’s becoming apparent that essential oils used in skincare applications have benefits to the skin that rival expensive treatments and creams. Essential oils have shown benefit to tightening skin, increasing collagen production, reducing age spots and fine lines. The best part is, essential oils could allow you to achieve a beautiful, clear complexion without exposing yourself to parabens, additives or other undesirable ingredients. Sound good? Let’s go over the most commonly used essential oils in skincare and find out what they can do for you. This ancient oil has been shown to increase healthy cell function and aid in tissue regeneration. We all know that as we age, our skin turn over slows, which in turn increases the fine lines and dull complexion that we all experience. It also has natural disinfecting properties and can help reduce inflammation, making it an ideal choice for people who suffer from acne to help eliminate breakouts. This brightly-scented oil is antiseptic and anti-inflammatory, making it another top choice for acne prone skin. Sweet orange oil has also been shown to increase absorption of vitamin C and promote collagen production. Another ancient oil, Myrrh is the great healer. It’s antifungal, antibacterial, anti-inflammatory oil that contains antioxidants. It can speed the healing of minor wounds in the skin and is traditionally used to help heal dry, cracked skin. Who doesn’t love a rose? When you read about the benefits of rose oil, you’ll love them even more. Rose oil is easily absorbed by the skin, and is jam-packed with vitamins, minerals and antioxidants that can all give your skin a boost. Like the previous oils, Rose is antiseptic and astringent, but has shown promise in refining skin texture and water retention within the skin. Another flower powerhouse, Lavender oil is the one to turn to when your skin needs to be calm. If you suffer from redness, inflammation or irritation, Lavender oil also contains antioxidants to fight free-radical damage. If you have delicate skin, you don’t have to skip the benefits of oils. German Chamomile is an exceedingly gentle oil that’s fantastic for moisturizing. It’s shown benefit for eczema, wounds and hives. That innocent little vegetable that you’ve grown up with was keeping a surprise all along. Carrot seed oil can brighten a sallow complexion, reduce hyper-pigmentation and eliminate age spots, all while moisturizing your skin. Who knew? While it first gained popularity for its heady scent, Ylang-Ylang oil can actually help to rebuild broken protein bonds and repair lipids in the skin, which means you end up with firmer, bouncier skin. Essential oils should never be placed on your skin at full strength, and should be used with extreme caution on infants and the elderly. For facial routines, most essential oil users choose a carrier oil that compliments their skin type, and experiment with one or a combination of oils until they find the perfect blend for their needs. Essential oils should not be taken internally without the direction of a physician. A medium-weight oil, Jojoba is a very moisturizing oil that readily absorbs into the skin. With a high vitamin E content, sweet almond oil has found a place as a staple in skin care. Those that have very dry, flaky skin find relief with avocado oil. The thick, heavy oil absorbs into the skin and brings along an additional dose of vitamins. Loaded with antioxidants, this light, non-greasy oil is perfect for you if you want a fast absorbing oil that carries additional benefits. While it’s a heavy oil, it has a low weight and sinks into the skin quickly. Coconut oil has antiseptic properties, which make it ideal for use in eczema, cold sores and other skin conditions.